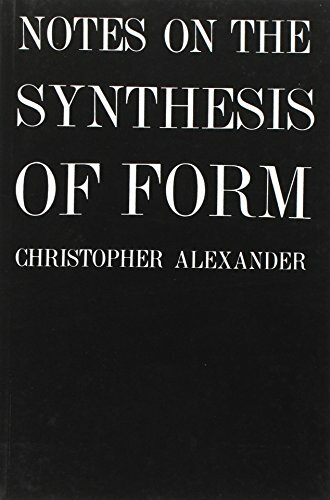 "These notes are about the process of design: the process of inventing things which display new physical order, organization, form, in response to function." This book, opening with these words, presents an entirely new theory of the process of design. About: "These notes are about the process of design: the process of inventing things which display new physical order, organization, form, in response to function.